Ticket to your home-county is booked and payed, belongings are packed, nothing is forgotten under your bed and you are ready to go to the point of departure. Firstly, you should think about your route and a vehicle. Calling a taxi is easy, but risky because of the traffic congestion. 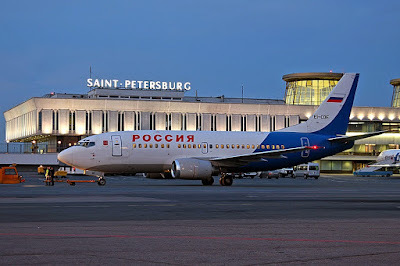 It also may be expensive if you are going to the Moscow airports, all three of them are located outside the city. 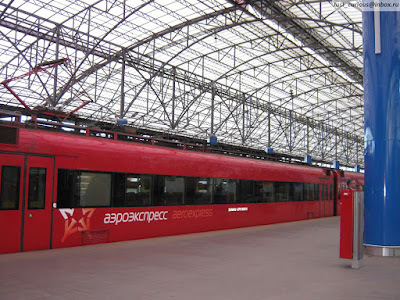 Kievsky Rail Terminal to Vnukovo International Airport. Standard ticket to the train costs 420RUB if you buy it on the website and 470RUB if you buy it from the terminal. Business class ticket costs 1000RUB. You can read about fares here. 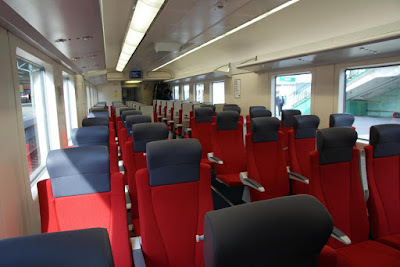 Aeroexpress trains make trips to airport daily, according to the timetable, including weekends and holidays. Trains run without stopping. It will take about 30-40 minutes to get to the airport. Sounds nice! You are able to read a special Aeroexpress magazine, buy goods, food and drinks. You can reach the airport by car or bus if you prefer them, in that case take care of time. Traffic congestion is really a problem, even if you aren't in Moscow. 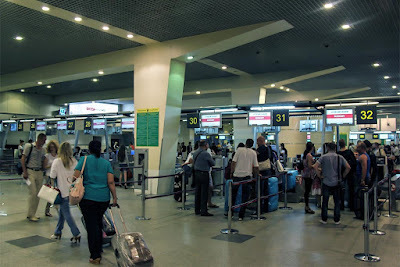 At the airport: after arriving and entering a terminal, you should proceed to passengers and baggage entrance security point for safety reasons. 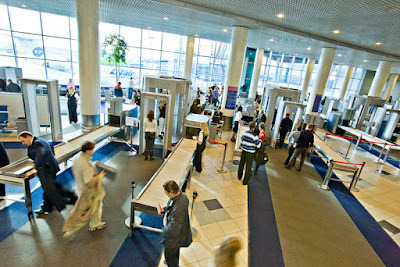 The security points are equipped with X-ray endoscopes as well as stationary and hand-held metal detectors. Inspection procedure is performed by staff of the airport. 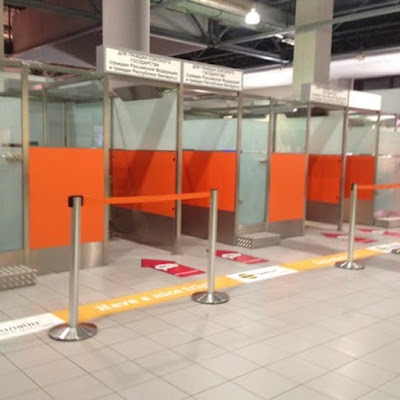 After that, go to the check-in area and then to the customs control area (Green Channel) if you have nothing to declare. If you have goods to declare, go to the customs control area (Red Channel), where you need to fill in a customs declaration at a customs declaration desk, and then to check in area. At a check-in counter, show your ticket and passport to the worker. If you own an e-ticket, you are only required to show your passport. At a check-in counter you have to show all the luggage that you are going to take with you on board, regardless of whether it is to be transported in the cabin or in the baggage compartment. After check-in and luggage handling procedures, you will get a boarding card and baggage tags. Now you need to go to the Passport control. NB! If you've checked-in through the Web, you may go straightly to the Passport control. On the Passport control Service officer will take your passport and migration card. After checking your ID and visa information from the base and stamping, you'll get your passport back, but migration card stays at the officer's. You'll never see it again. NB! You don't have to show your Migration Registration to officer until he or she would ask you for that (it happens sometimes). Now you can go to the Special control. You can read about it for example on the Sheremetyevo Airport official webpage. After passing all the controls, you can enjoy the Duty free shops and waiting lounges at the holding area. Have a good flight!